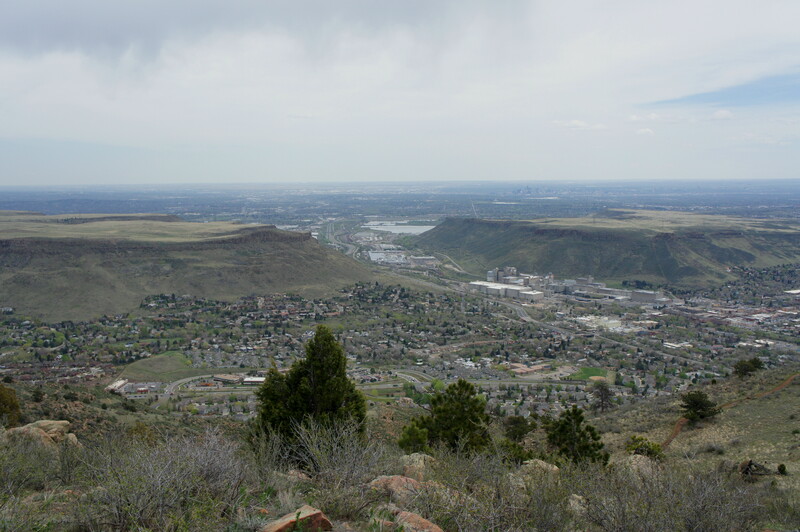 Less than a half-hour drive from the heart of Denver, Colorado, Mount Galbraith is a hikers-only park comprising 1,969 acres of sweeping hillsides, deep ravines, conifer forest, and, of course, the summit of the 7,260-foot peak. The 4.2-mile hike described here—including a loop around the mountain—is a popular destination for trail runners and dog walkers. Enjoy fantastic views of Denver, the nearby city of Golden, two winding canyons, and the Front Range. 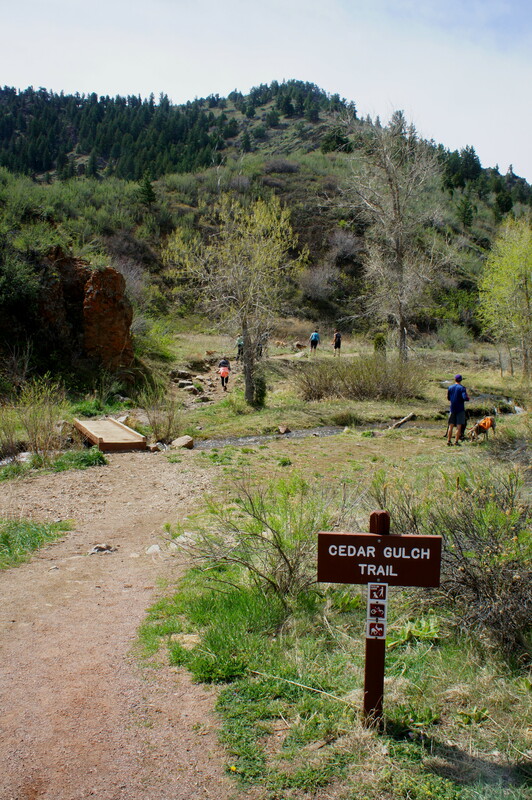 The Cedar Gulch Trailhead, situated 1.4 miles up the Golden Gate Canyon Road (a.k.a. 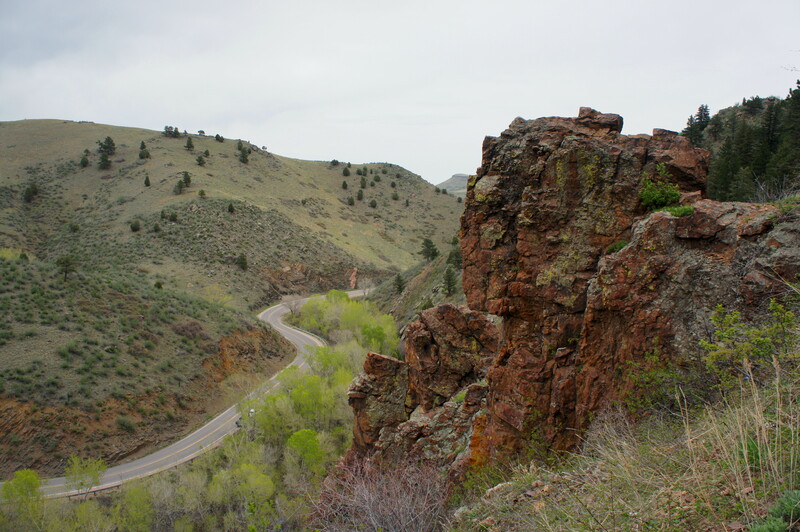 Route 70) from Golden, offers the quickest and easiest access to Mount Galbraith. Due to its proximity to one of America’s largest and most outdoors-savvy cities, the parking lot at Cedar Gulch is likely to fill up on weekends, though it is also possible to park along the shoulder if necessary. The Cedar Gulch Trail begins by edging southwest from the trailhead, immediately crossing Cedar Creek before starting a gradual climb. The route consists of a well-trodden single track, usually free of obstacles. In 2/10 mile, the route switchbacks to the east, then ascends through a sea of mountain mahogany bushes in a stretch offering views of cottonwood-laden Tucker Gulch, Golden Gate Canyon, and the highway below. At 6/10 mile, the trail approaches an exposed rock outcropping, then rounds the corner. Turning away from Tucker Gulch, the trail is exposed to full sun as it edges southward. The footpath weaves in and out of two minor ravines, then enters a third, where a trail junction awaits. Having gained 600 feet in 1.3 miles, the toughest climb is over. 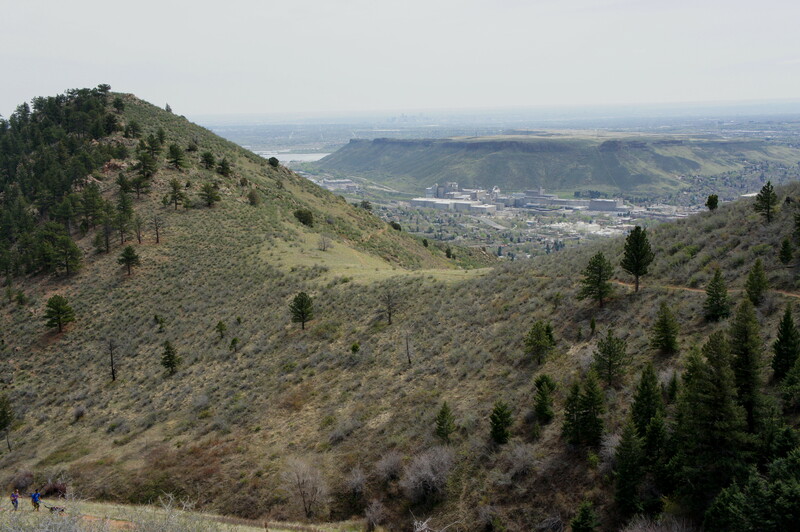 Hikers now face a choice of whether to attack the Mount Galbraith Loop in a clockwise or counterclockwise direction. Those in search of shade will want to turn right at the fork, after which the trail enters dense tree cover. (Note: The predominant species are ponderosa pine, Douglas fir, and a variety of spruce.) The shaded backside of Mount Galbraith includes a handful of rocky traverses that should be approached with care. 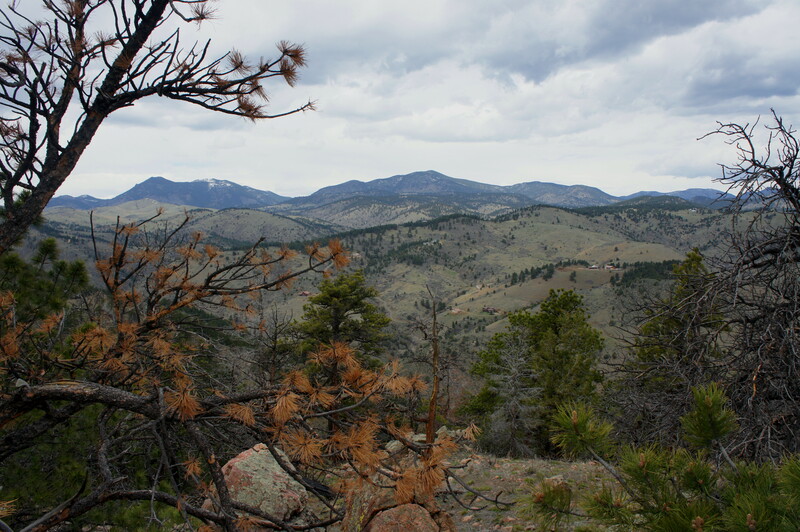 Between the trees, enjoy tremendous views of Golden Gate Canyon, Mount Tom (9,741’), and Ely Hill (10, 045’). While the main trail does not provide access to the Mount Galbraith summit, several use trails can be found ascending the southern flank. Unfortunately, tree cover and limited prominence prohibit an uncompromised panorama, but the vistas are generally good in all directions. To the east, the massive Coors Factory rises above the city of Golden, though it too is shrouded by North (6,565’) and South Table Mountain (6,332’). Downtown Denver is visible in the distance beyond. To the south lies Clear Creek Canyon and Lookout Mountain (7,379’). Returning to trail level, the Mount Galbraith Loop rounds another corner and edges back northeast to the trail junction. Just before meeting the Cedar Gulch Trail, the lengthier (and less popular) Nightbird Gulch Trail joins the circuit from the east. 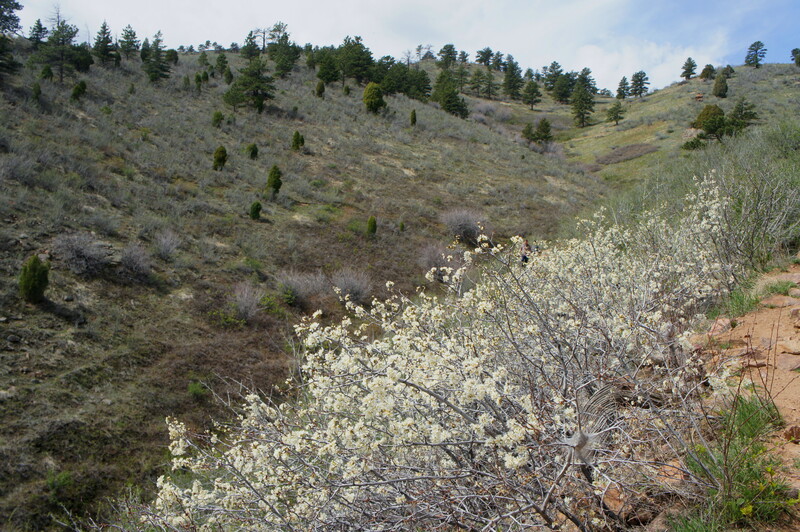 Back on the Cedar Gulch route, retrace your steps for 1.3 miles back to the trailhead. Allot 2-3 hours for this round-trip, “lasso-loop” hike. This entry was posted in Colorado, Jefferson County Parks, Moderate Hikes and tagged Cedar Gulch Trail, Colorado, Denver, Golden, Golden Gate Canyon, loop hike, Mount Galbraith, Mount Galbraith Loop, Mount Galbraith Park, Mt. Galbraith, Mt. Galbraith Park. Bookmark the permalink. Boy, Andrew, is your timing perfect! We move over to the Denver area tomorrow for a little over three weeks. This was a hike I found while researching places to hike in the area. I hope you have other hikes to share outside Denver! Two years ago we stayed in Estes Park and hiked in Rocky Mountain NP. We’ll make a couple trip up there again but we will be stationed in Englewood this time. Can’t wait to see what else you found. Awesome! 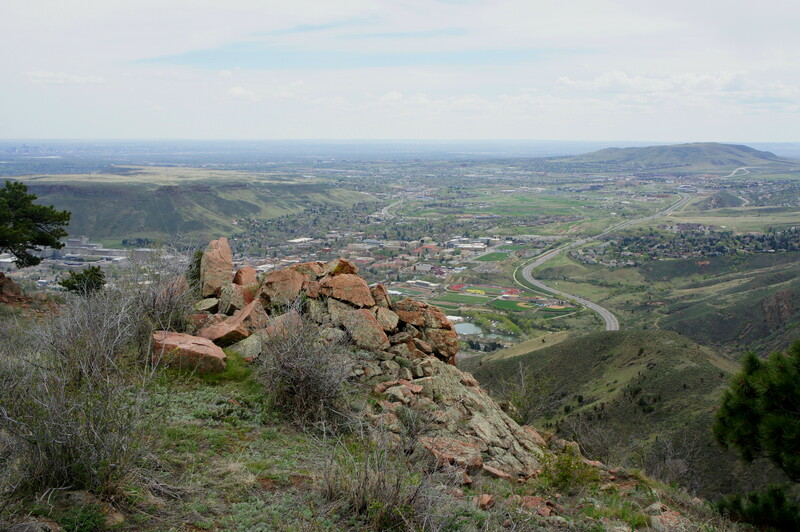 Yes, check my “Colorado” page for more than a dozen hikes I’ve done recently in the area. To be honest, if the weather holds, it’s worth going deeper into the mountains rather than flirting with the edge of the Front Range like this hike. I would definitely recommend the Glenwood Canyon area, though it’s a 3-hour drive from Denver.